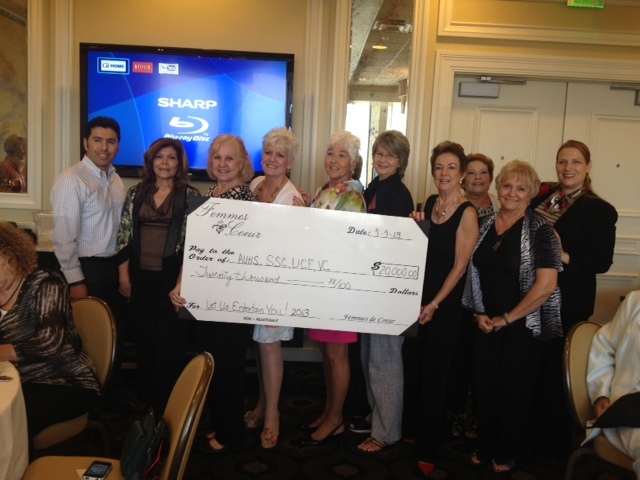 Sending appreciation to Femmes de Coeur (Women of Heart) for the recent $5,000 donation to Valencia Foundation. This generous contribution is earmarked to support Valencia College nursing students through the Femmes de Coeur Endowed Nursing Scholarship. In addition to Valencia College Nurising program, Femmes de Coeur also contributed to Florida Hospital College of Health and Sciences, Seminole State College and UCF College of Nursing.